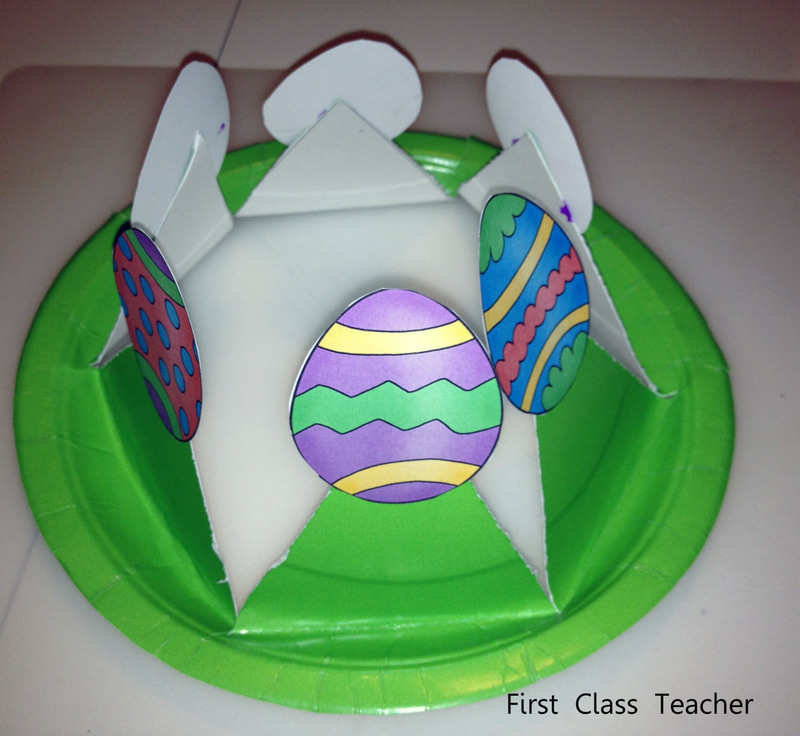 Celebrate the fun of Spring and Easter eggs with this easy to make Easter Egg Crown! 1. On the back of a green paper plate, graph 6 equal spaces with a pencil. 2. 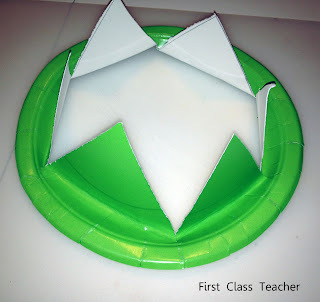 Cut on the lines with an x-acto knife and fold up triangles to make the "crown" shape. 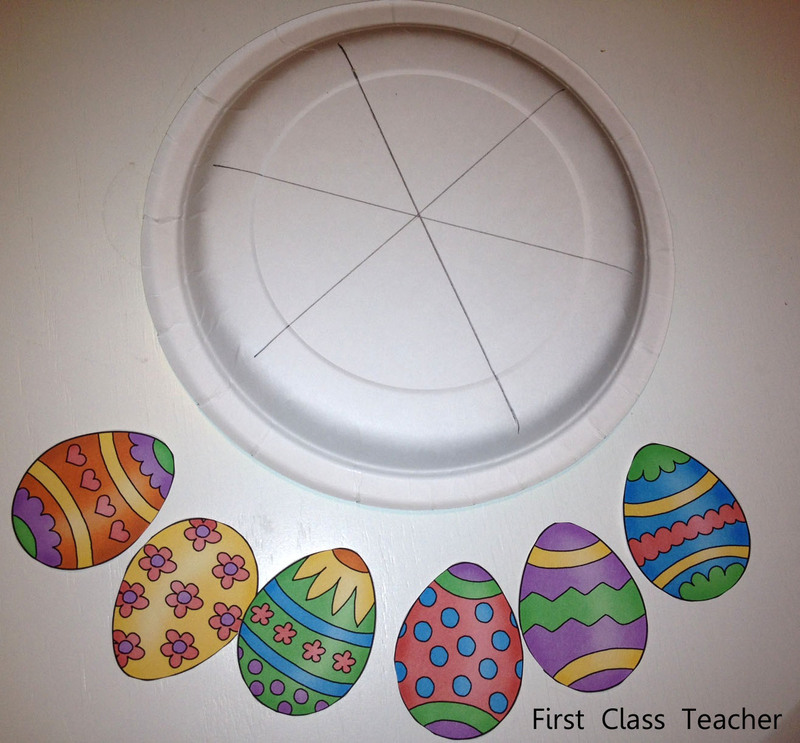 Download the Easter egg coloring page HERE. 3. After coloring the eggs, glue them to the crown points with a glue stick. Wear your crown!